Remington Development Corporation is proud to offer its support to the new Remington YMCA. As part of the newly developed Quarry Park, Remington YMCA is ideally located within a mix of corporate, retail and residential properties. It is surrounded by ten kilometres of pathways, giving users from all areas the chance to benefit from this facility. Remington Development Corporation has long been a strong believer in healthy families and communities. YMCA Calgary’s model of access to all is important to Remington, as sports, childcare, fitness facilities and camps can be very expensive. YMCA provides affordable or subsidized access so that all can participate. For more information about Remington Development Corporation, please click here. 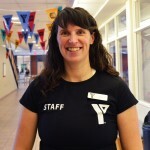 The Remington YMCA team is headed-up by General Manager Jenny Miron. Book now for full-day childcare. Register your child for childcare at one of our two new Child Development Centres. The centres will offer full-day licensed childcare for children ages 12 months to 6 years. Space is limited. ECCO Recycling is proud to support YMCA Calgary as the naming sponsor of the ECCO Child Development Centre in the Remington YMCA in Quarry Park. YMCA Calgary child care centre’s provides opportunities for all children to access quality experiences in a caring and nurturing environment. With the support of YMCA caregivers, children practice behaviours in a play based environment which support social skill development, emotional competence and community engagement. Throughout its business activities, ECCO Recycling’s overarching goal is to protect the environment by diverting waste and converting it into re-usable commercial and industrial products. As a leader in green business solutions, it is important to ECCO recycling that they give back to both the environment as well as Calgary communities.